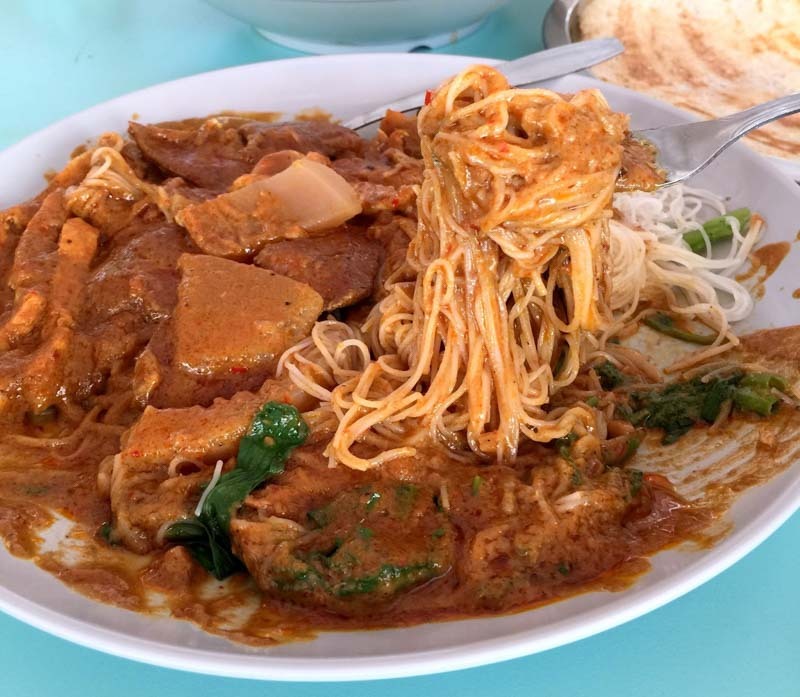 A less-talked about dish as compared to Singapore’s widely popular local dishes, Satay Beehoon is a dish that we often don’t take enough notice of. The origins of the dish are unclear with some claiming it to be introduced by the Teochews. Well, thanks to them we now have it as one of our many hawker dishes that we can be proud of. 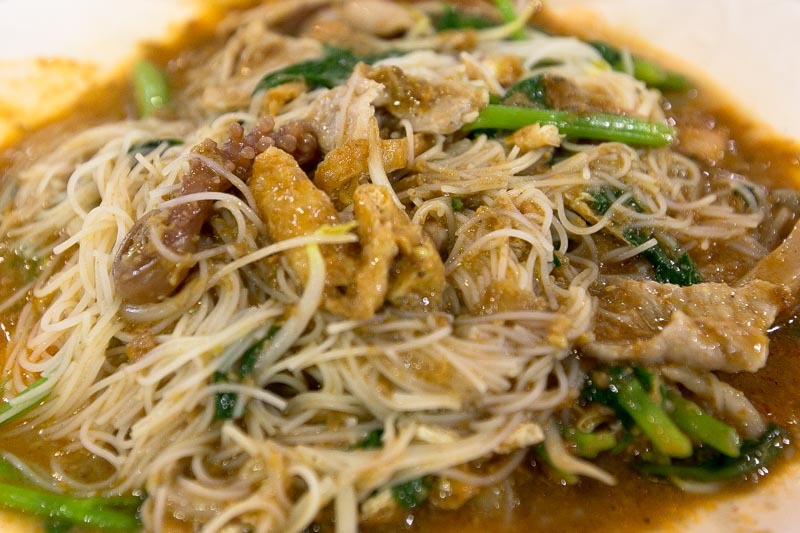 Made up of simple ingredients including cuttlefish, tau pok, pork slices, kang kong, beansprouts, cockles, pork liver, and of course bee hoon. Satay sauce made from peanuts is then poured over the ingredients as the final touch before serving. While the dish may look simple, preparing it is quite a challenge as each there are so many ingredients in it. Making the peanut sauce alone can take up to more than four hours, as the peanuts have to be roasted, crushed and then fried with a variety of spices to form the sauce. 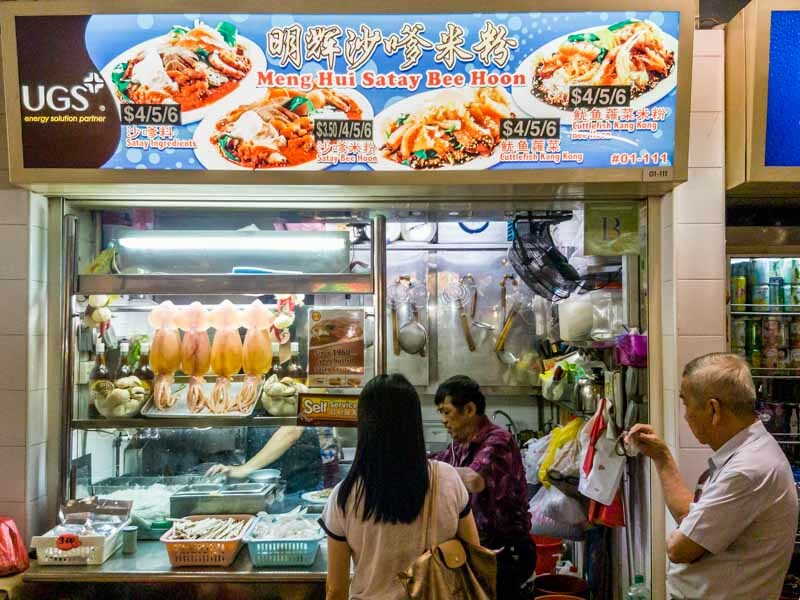 Enough talk about the dish, I have scoured through Singapore’s hawker centres to bring you the 10 best Satay Beehoon Stalls. 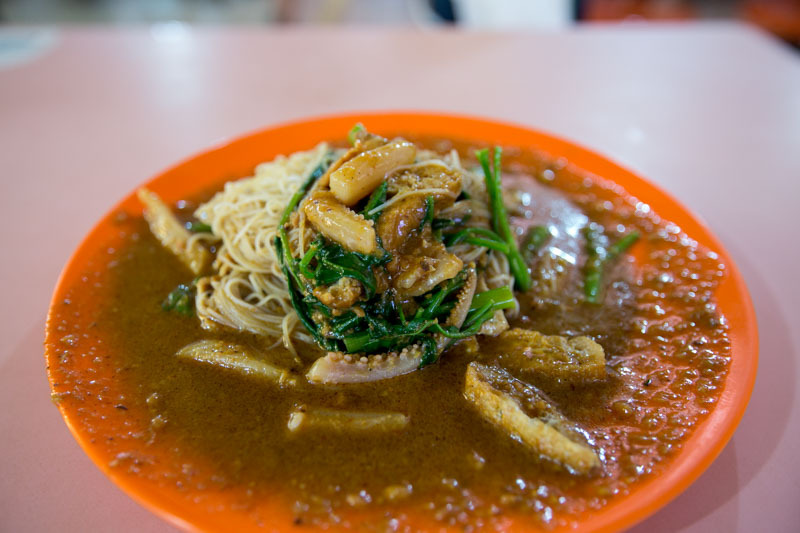 Soon Huat Teochew Satay Beehoon has been selling this dish when their stall was first located at Havelock Road. 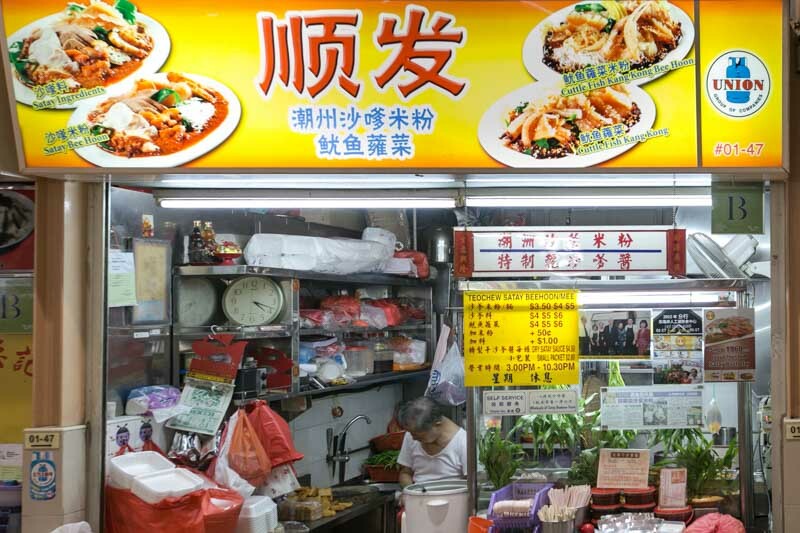 Now, located at the ABC Food Centre, the stall proudly displays its accolades earned over the years, including pictures of famous local politicians that has visited. Looking at the amount of awards the stall displayed, I was expecting an amazing plate of Satay Beehoon. The Satay Beehoon ($3.5/4/5), however came with a sauce that was rather diluted as a result of the bee hoon not being drained properly. 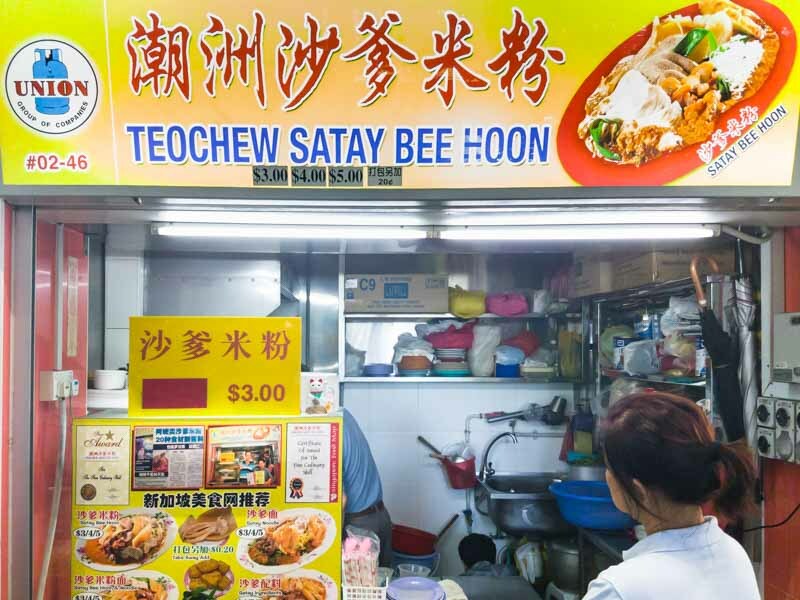 The least a satay beehoon stall could do is to get its sauce right. While the typical ingredients were well-prepared, it failed to lift up the standard of the dish. 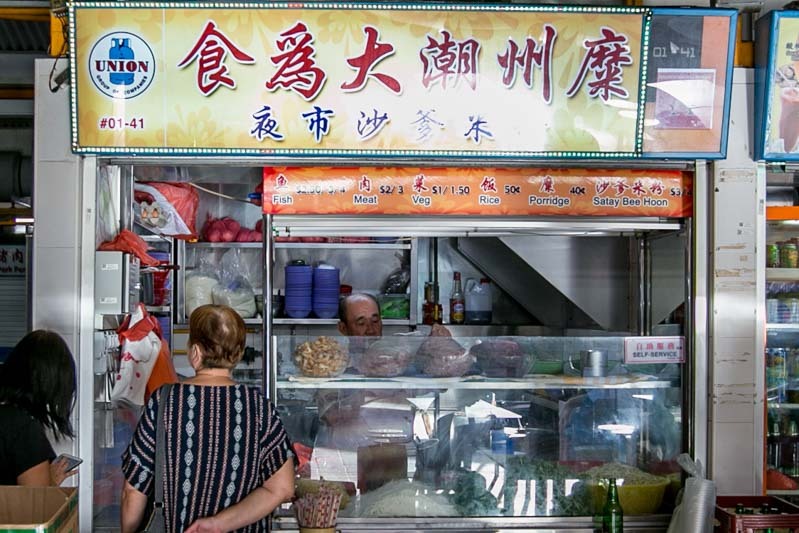 Tanjong Pagar Plaza Market & Food Centre is packed with office workers during lunch hour. Trying to get a seat is already a challenge in itself, but I’m glad I made the trip here to try the dish from Teochew Satay Bee Hoon. The stall claims to make their own satay sauce using over 20 ingredients. However, I found the Satay Beehoon ($3/4/5) to be underwhelming of that claim. The sauce was a tad too bland to my liking, and had no distinct fragrance of freshly grounded peanuts. The ingredients on the other hand were quite well-prepared and cooked just right without ruining the textures. Albert Centre Market & Food Centre is patronised mostly by elderly folks who spend their time catching up with their friends over a meal or paying a visit to the Kwan Im Thong Hood Cho temple nearby. 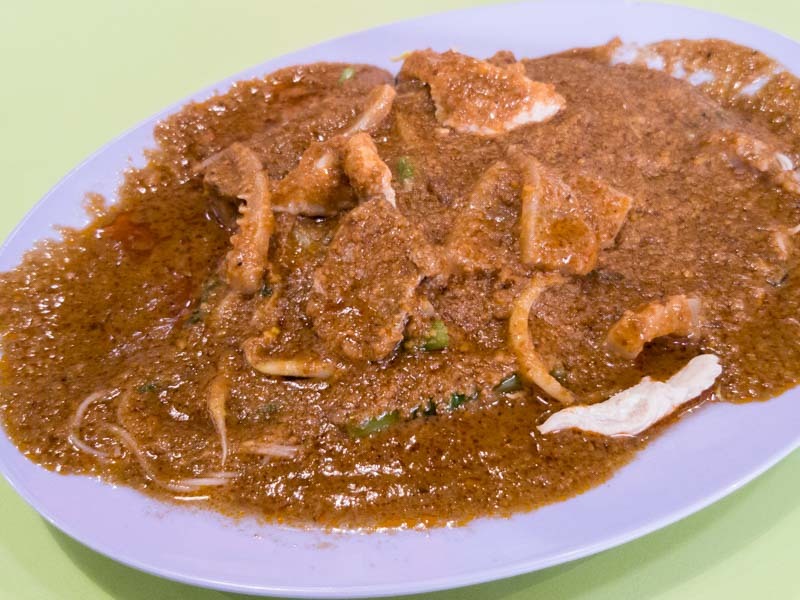 Meng Hui Satay Beehoon has been drawing in the crowds for their satay beehoon and cuttlefish kang kong. I had to join a queue despite visiting at an off peak timing. The version of Satay Beehoon ($3.5/4/5/6) served here is quite oily but rather tasty. The only downside was that I couldn’t taste any ground peanuts in the sauce as if it had been grounded so finely. The ingredients were prepared well with the cuttlefish still maintaining its chewiness, it was the perfect accompaniment to the soft and moist beehoon that made finishing this plate a breeze. 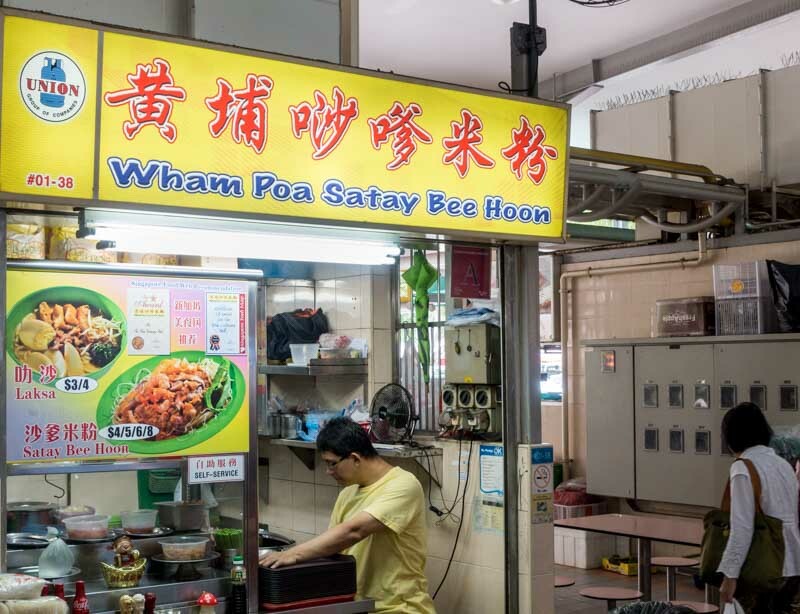 Whampoa Market & Food Centre is home to two Satay Beehoon stalls, one of which is Whampoa Satay Beehoon. 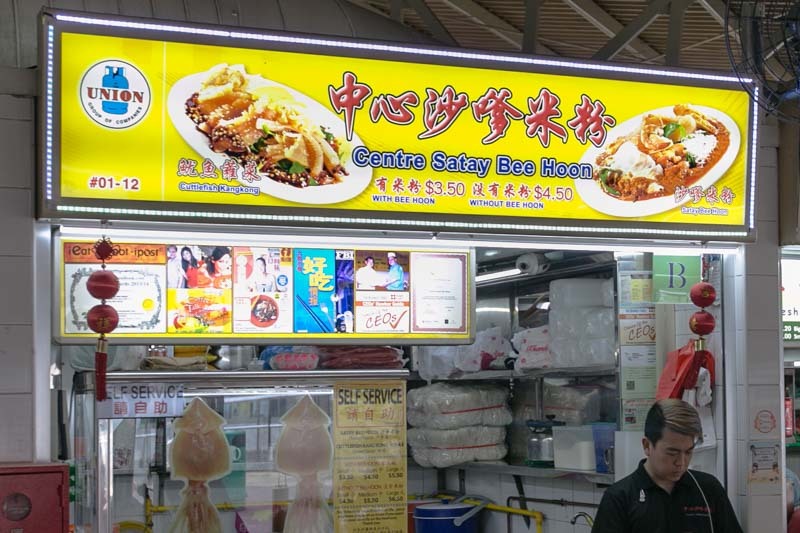 The stall is really hard to miss given how it has the words satay beehoon on its signboard. Apart from Satay Beehoon, the stall also sells a mean bowl of laksa. 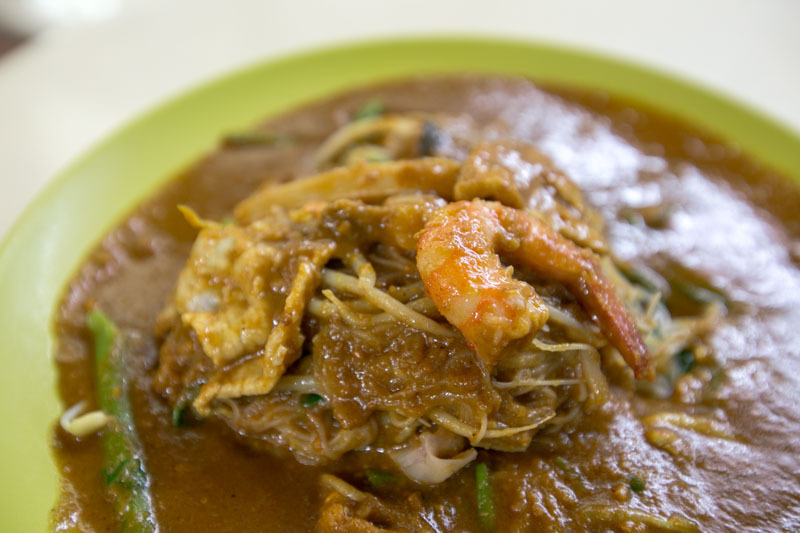 The Satay Beehoon ($4/5/6/8) here spots a satay sauce that comes in a lighter shade of brown. 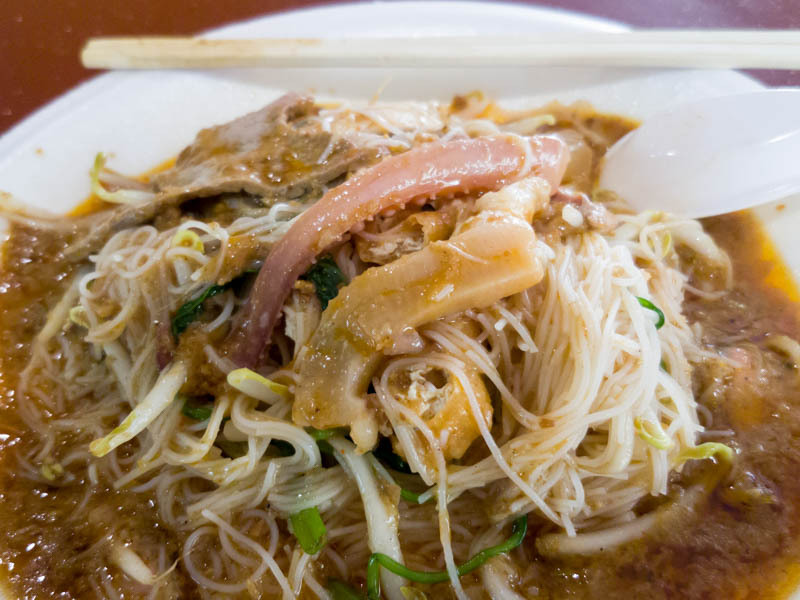 The beehoon was overly moist which resulted in the water diluting the thickness of the sauce. Not to worry you can get to taste bits of grounded peanuts in the sauce, and I felt that they could be more generous with the ingredients, seeing how it costs a dollar more than its competition. 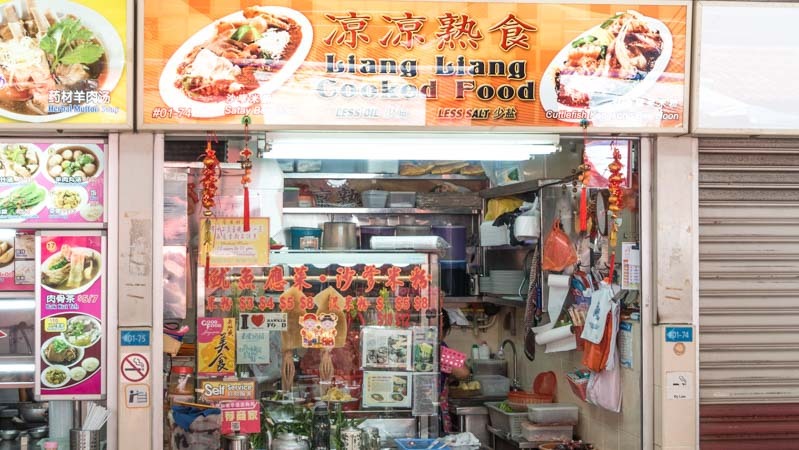 Liang Liang Cooked Food is the other stall in whampoa that sells Satay Beehoon. Apart from selling the dish, the stall also sells Cuttlefish Kangkong which is another dish deserving of a separate review. The Satay Beehoon ($3/4/5/8) comes in four sizes, the portion pictured here cost $3 and spots the usual accompaniments which were cooked to order. 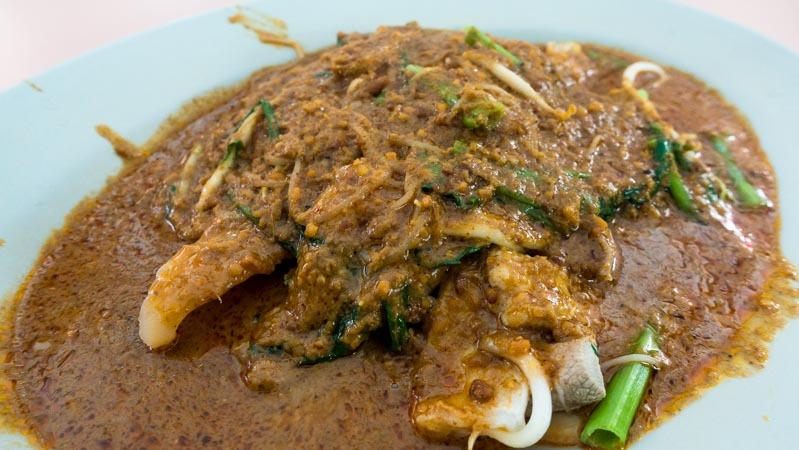 The cuttlefish was cooked to the right texture without becoming too rubbery, which paired well with the satay sauce that had a light brown shade to it. I could taste the dried shrimp used in the making of the sauce along with the spices to lend some heat to the dish. Only downside was that the sauce had a layer of oil which I felt could be removed before serving. 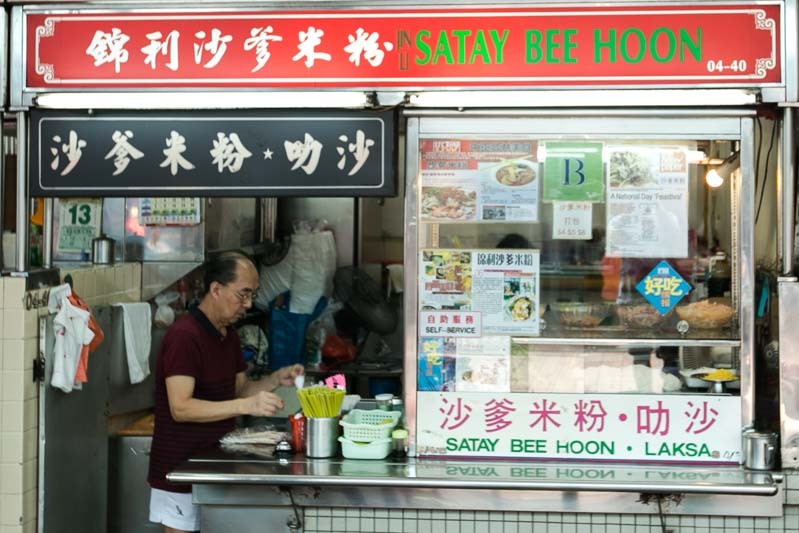 For those living in Ang Mo Kio and are craving for Satay Beehoon, Centre Satay Bee Hoon would satisfy your cravings. With over 30 years of history cooking this dish, owner Mr Tan has mastered the art of skillfully preparing each ingredients. 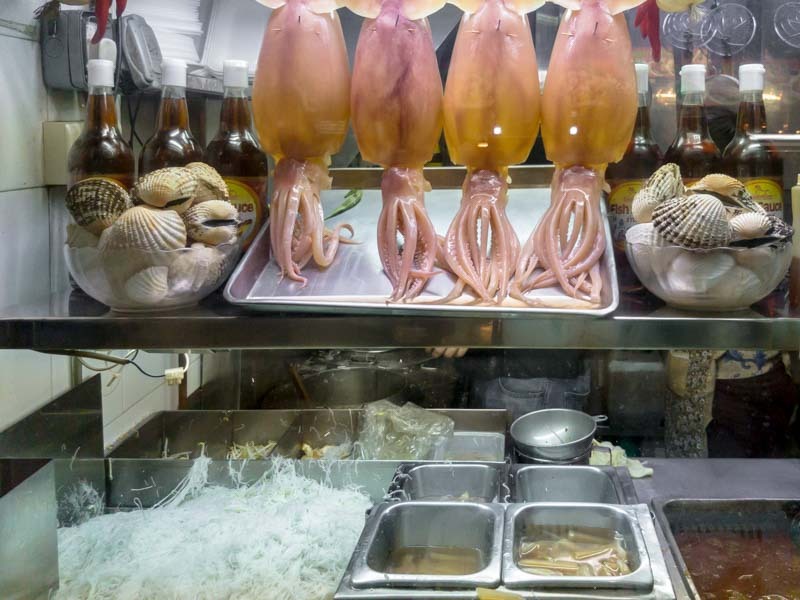 Apart from Satay Beehoon the stall also serves a side of Cuttlefish Kangkong. A humble looking dish, the Satay Beehoon ($3.50/$4.50/$5.50) served here comes with rice vermicelli that has some bite to it, along with the usual accompaniments (Cuttlefish, Tau Pok, Kangkong, Cockles, Prawns, Slice Pork). The tau pok was a tad too hard for my liking but the cuttlefish was delightfully chewy with each bite. The sauce was leaning more towards the watery side, perhaps this was due to the fact that the beehoon was not drained properly. Still a pretty decent plate to have if you’re around the area. 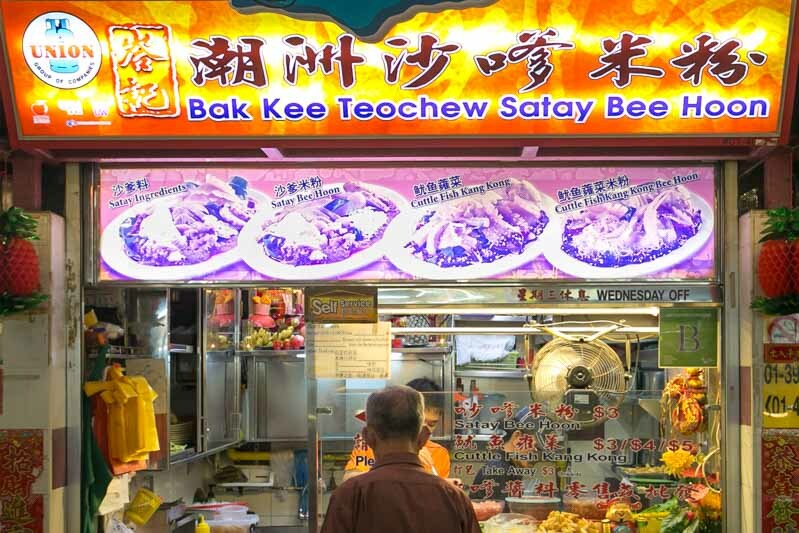 Bak Kee Teochew Satay Bee Hoon at Red Hill Food Centre is recognised as one of the originators of the dish in Singapore. To cater to their fans who simply love its Satay sauce, they have packed it specially for you to recreate the dish at home. One of the more affordable ones so far, the Satay Beehoon ($3) had a slightly oilier sauce that carried a stronger spiciness to it. The beehoon was moist and went really well with the fattier pork slices and thick chunks of liver slices, though I felt that the liver slices could be cooked a little longer. 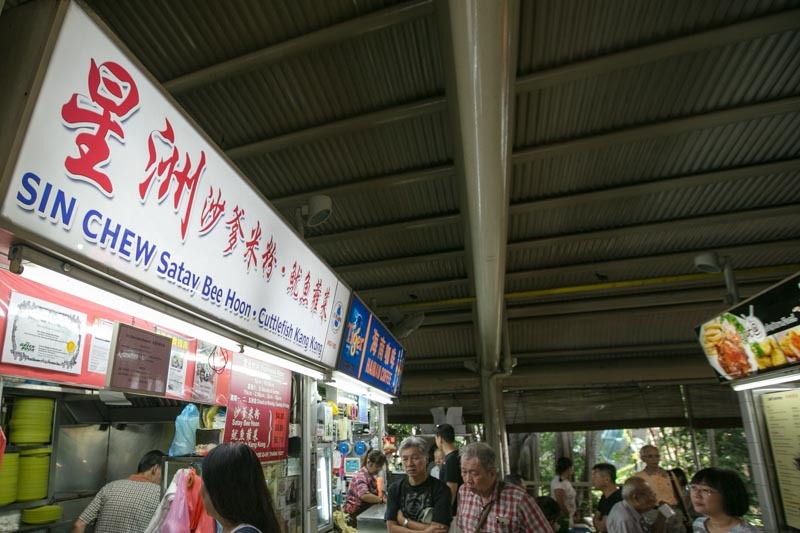 Beauty World Food Centre holds many food legends, one of which is Jin Li Satay Bee Hoon. 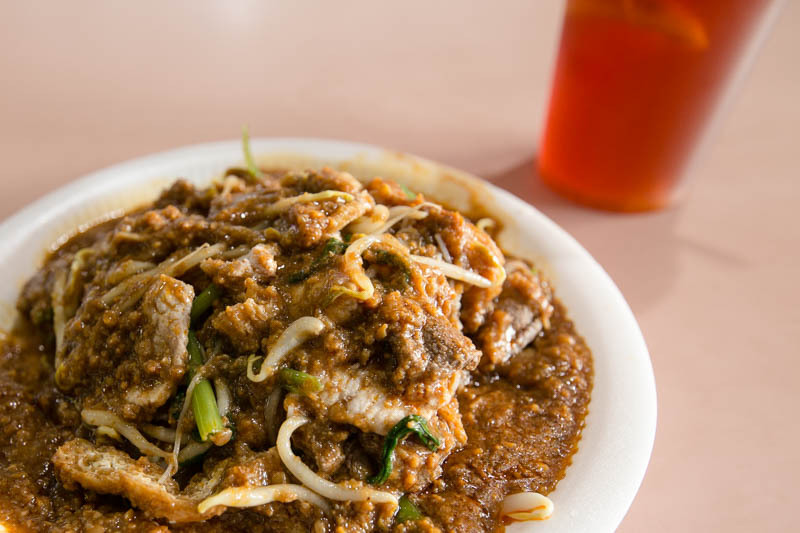 Like most Satay Bee Hoon stall owners who have been doing this for over 35 years, they have become experts at preparing this dish. The Satay Beehoon ($4/$5/$6) features a homemade smooth and creamy peanut sauce that is poured over the white vermicelli. I loved how the sauce was not too oily and carried a nice fragrance with it. While the ingredients used were pretty standard, special mention goes to the pork slices which were tender and not too dry. Still, I felt they could have been a bit more generous with the prawns, which was rather small to begin with. 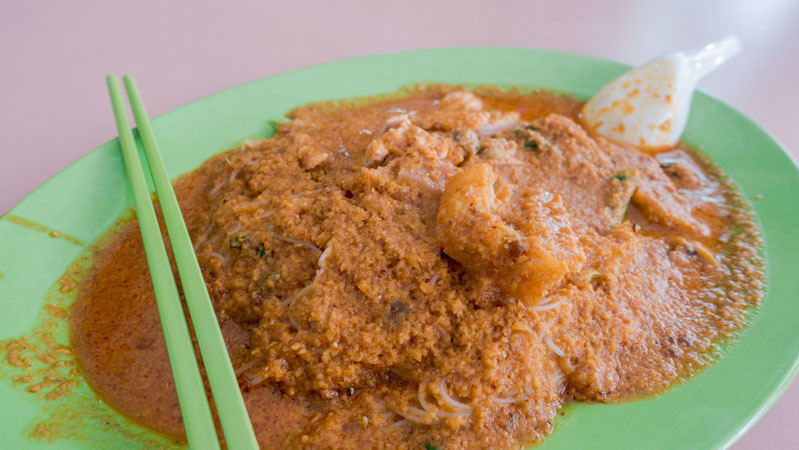 Bedok 85 Food Centre is home to many popular hawker stalls and it is a popular food destination people won’t mind travelling to; one of the dishes that many return for is the Satay Beehoon. By day, the stall sells economic rice and at 5pm it sells Satay Beehoon. I was there at 6pm and long queues had already formed at the stall. The stall is run by a two man team, and I guess they don’t have enough time to wash the plates hence opting for disposable plates and cutlery. My plate of Satay Beehoon ($3/4), of which I ordered the $3 portion, came filled with beehoon and ingredients. 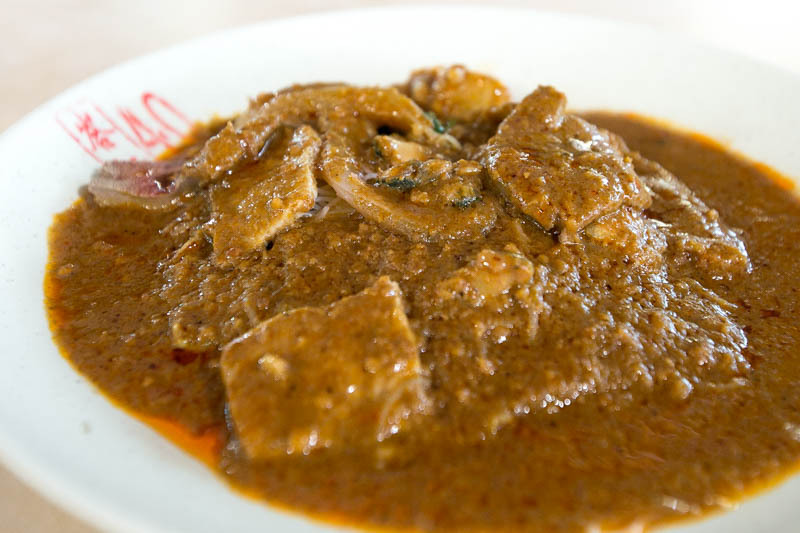 As a finishing magical touch, a thick chunky satay sauce is poured over. They are definitely more generous with the ingredients here, just look at the thick pork slices. The stall in this list that serves a thicker version of the satay sauce, lending to each bite more texture and flavour. 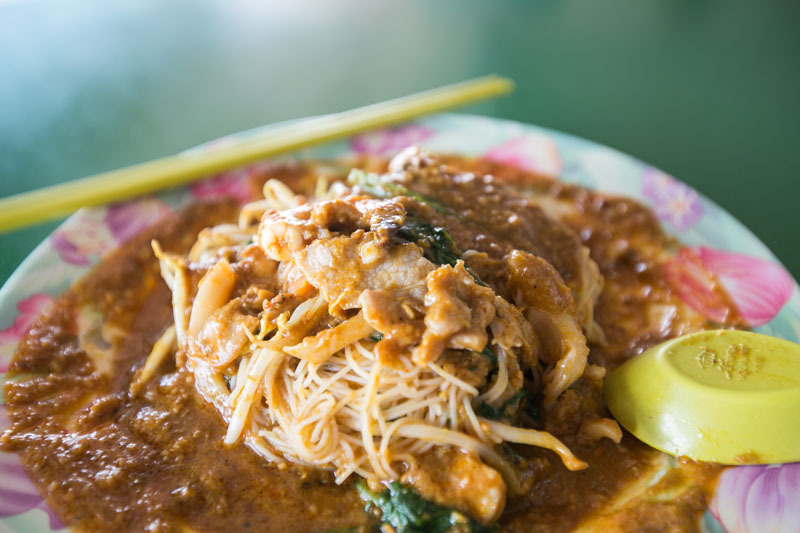 It appears Satay Beehoon is quite a common dish in the West; the only difference is that this one has a history of over 50 years. You know a store is really famous when they only open four days a week, expect to queue for around 20-30 minutes for a taste of tradition as each plate is made upon order. I must say that this is definitely the best Satay Beehoon ($4/$5/$6) in Singapore — the sauce is gooey with virtually no oil seen on the plate. Taste wise, it was a perfect balance of sweet, salty, nutty and spicy. Each ingredient is well-prepared and complements the satay sauce. If beehoon is not your thing you can choose to have it with yellow noodles as well. Definitely worth the wait I say.